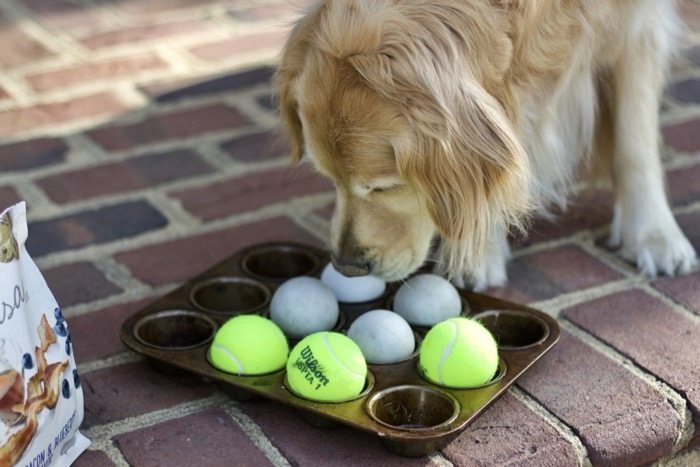 Our dogs’ sense of smell is truly amazing and these types of games are great to play with a dog to discover just how smart they are. 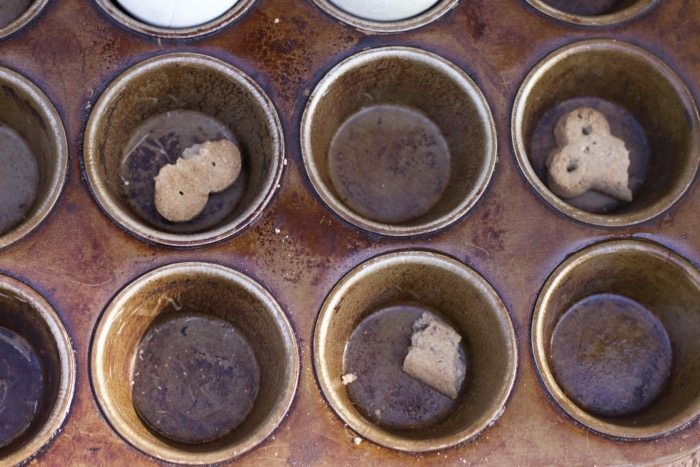 Simply break up some of the treats and put them in a few of the muffin tin cups. (Our pup is watching her weight so little pieces were perfect. Plus these treats have such a yummy aroma, little pieces were easy to find). It took her a few minutes, but she eventually figured it out if she lifted balls that smelled like treats, she would find a yummy treat. 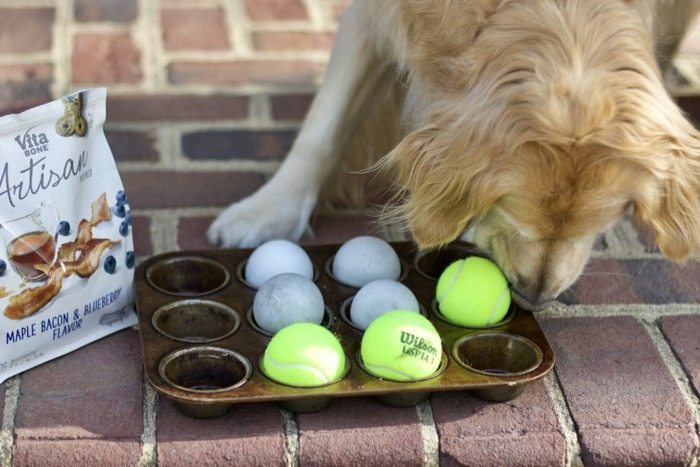 Just one example of the super easy games to play with dogs. 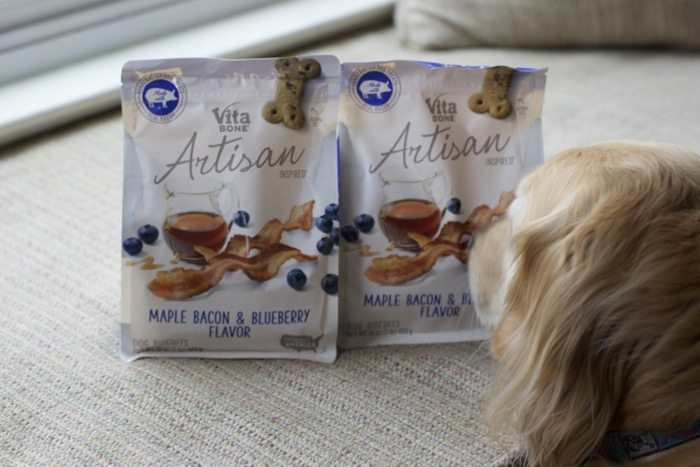 Why we chose to use Vita Bone Artisan Treats: As if the Maple Bacon and Blueberry Flavor was not a big seller, to begin with. Sometimes when you open a bag of dog treats, you want to turn your nose. These treats are so pleasant and smell just like what the package suggests. 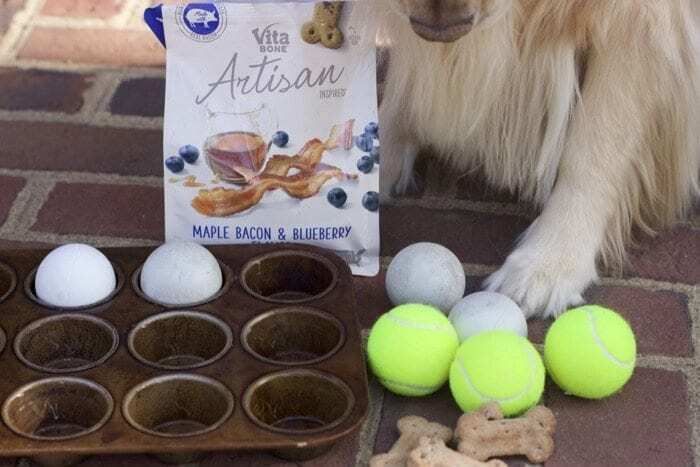 Vita Bone® Artisan Inspired® Dog Treats – made with real meat, fruit, and veggies. Sourced and made in America by a family owned company, these treats have no corn, no soy, no by-products and no artificial flavors. 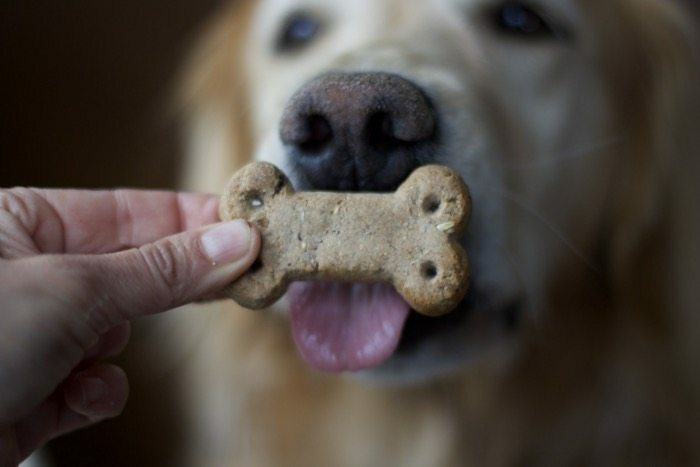 And the best part is how they smell…seriously…like real food…no more yucky dog treats! The ingredients are sourced in America and of course the treats themselves are also made in the USA. Besides the aroma appeal and the fact I don’t care about touching them, they are Available nationwide at Walmart, walmart.com and select grocery stores Find a store near you. You can see from these photos that they are a big hit for Chloe both out of the bag and in the Dog Brain Game! 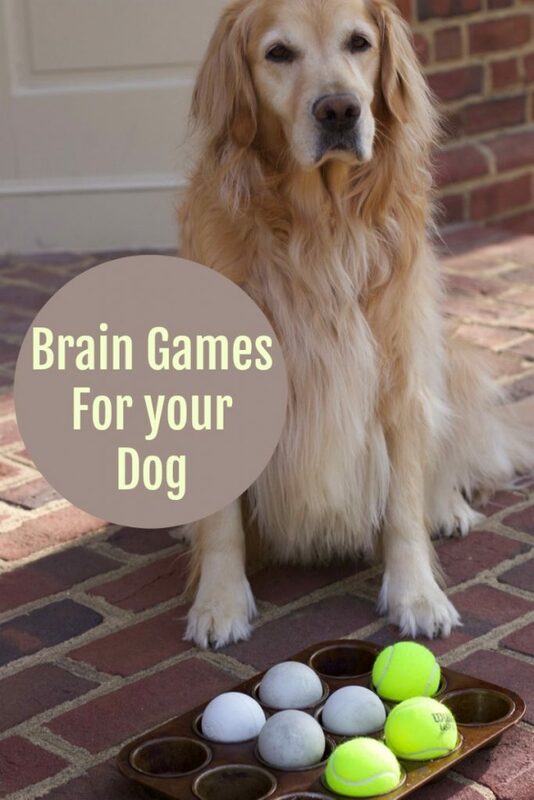 Pin this when you want to remember this fun game to play with your dog. 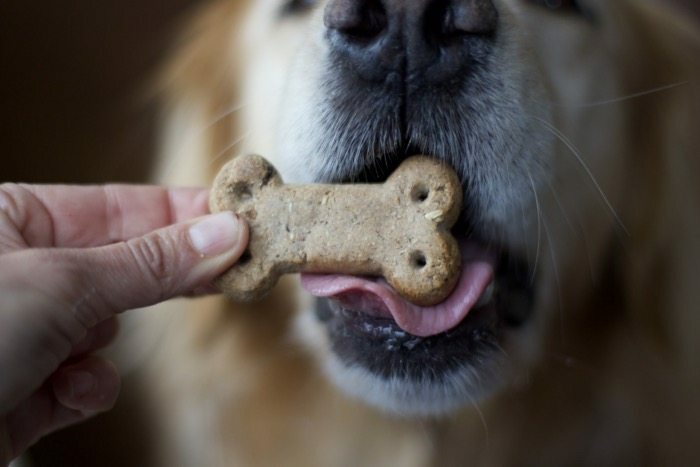 Check out all our homemade dog treat recipes. I will play hide and seek and let them sniff me out. I would play search and find with these treats. I like to hide treats around my house and have the dogs find them 🙂 They really think it’s fun! My dog likes when I hide treats in easter eggs. She finds them and opens them to get the treat. These would help me train my puppy to shake and some other tricks. Shes not even a year old so perfect timing, thanks for the chance to win. We like to play tic tac toe with treats. 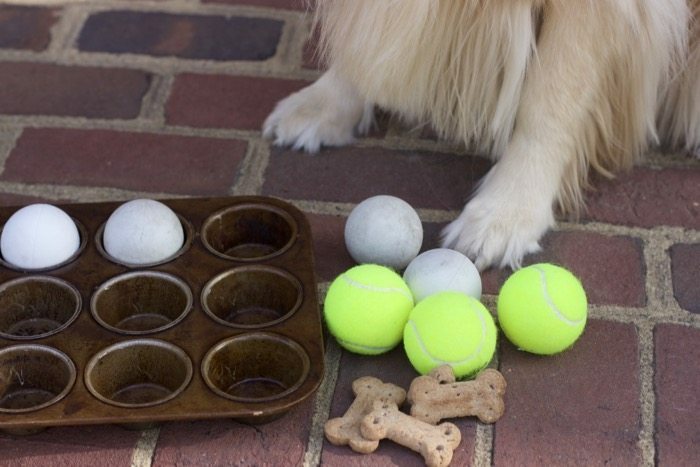 I would reward my dog with a treat once she returns a ball. My dogs don’t play games, the most they would do is sit or dance! My dog loves to be chased! We’re currently training so they would probably be used as rewards! I would play this exact game. Thanks for this opportunity I love keeping my pups from being bored. I will utilize some of what you do. I would play Hide and Seek with my dog, Nala. I could play it over and over with so many places to hide. My sweet pups would love these! I have two furry friends who want to win!